Buy the pillow or Buy the clock! Use the button below to buy the pattern from my Ravelry shop! 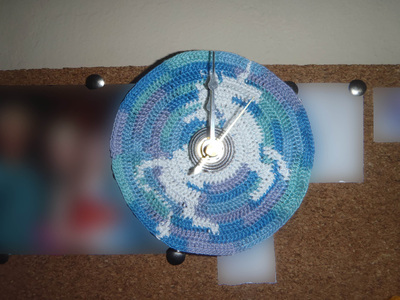 These are two items--a pillow and a clock face--that were made from the same pattern. They are shown approximately to scale. 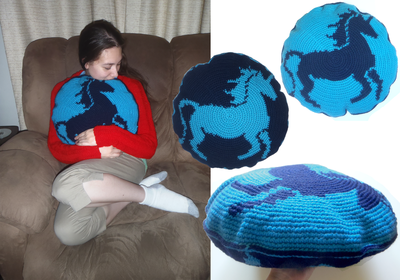 The pillow was made with medium acrylic yarn, and the face from size 10 crochet thread. Both are for sale in my Etsy shop, and for both, I accept custom requests.